ST. GEORGE — With nearly 200 people sickened and five dead as a result of an E. coli outbreak linked to romaine lettuce, health officials are still trying to pinpoint where in the supply chain the food became contaminated. The Centers for Disease Control and Prevention has linked the outbreak to romaine lettuce that originated from the Yuma growing region in Arizona. As of Thursday, the CDC reported that 197 people in 35 states have become ill, including five deaths, as a result of the outbreak. The illnesses were reported between March 13 and May 12, so there are likely additional cases yet to be reported. At least one illness was confirmed in Utah. The outbreak strain of the bacterial infection – E. coli O157:H7 – has led to 89 hospitalizations, including 26 people who developed hemolytic uremic syndrome, a type of kidney failure. People typically get sick 2-8 days after swallowing the germ. Most people who become sick after being infected with E. coli develop diarrhea (often bloody), severe stomach cramps and vomiting. While most people recover within one week, some illnesses last longer and can be more severe. According to the U.S. Food and Drug Administration, romaine lettuce is no longer being harvested or distributed from the Yuma growing region and is no longer available in stores or restaurants, due to its 21-day shelf life. Given the product’s short shelf life and the time between consumption of contaminated food and onset of symptoms in infected people, pinpointing exactly where in the supply chain the E. coli started has been a challenge for officials. 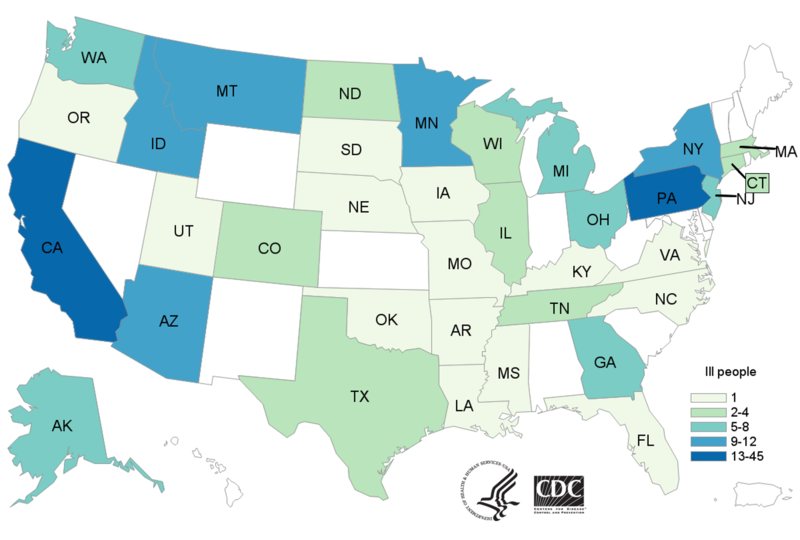 By the time the outbreak became apparent in early April, romaine products that would have caused illness were no longer available at exposure locations, making determining which lettuce production lots were affected difficult. “In addition, we have found that a single production lot may contain romaine from multiple ranches, which makes the traceback more challenging,” an FDA report about the outbreak states. Officials are looking at multiple contamination scenarios, such as the possibility that it occurred on multiple farms at once through some sort of environmental contamination via irrigation water, air/dust, water used for pesticide application or animal encroachment. 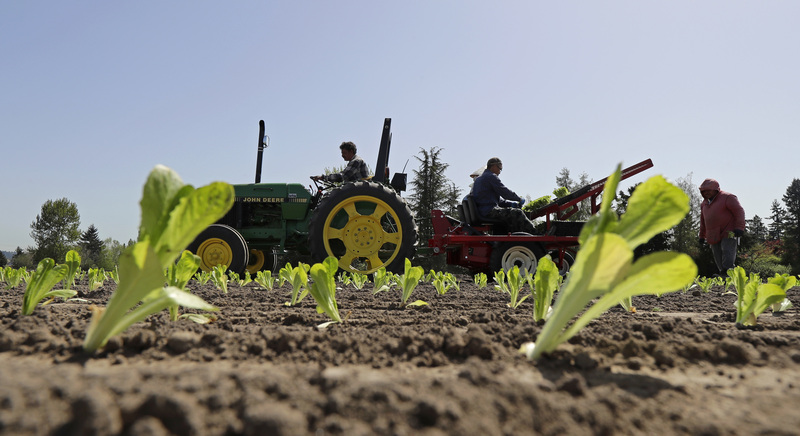 The CDC says it’s working with federal and state partners and companies as quickly as possible to collect, review and analyze hundreds of records in an attempt to traceback the source of the contaminated romaine lettuce. While contaminated romaine lettuce is no longer available for purchase, the FDA is advising consumers and restaurants to sanitize any surfaces that may have come in contact with contaminated product and to practice safe hygiene. Wash the inside walls and shelves of the refrigerator, cutting boards and countertops, then sanitize them with a solution of one tablespoon of chlorine bleach to one gallon of hot water. Dry with a clean cloth or paper towel that has not been previously used. Some of those affected by the outbreak did not consume romaine lettuce but still got sick from another infected person who did eat contaminated product, prompting the CDC to remind people to wash hands after using the restroom or changing diapers, before and after preparing or eating food and after contact with animals.